Matthews & Davies Family Tree: Can You Help? 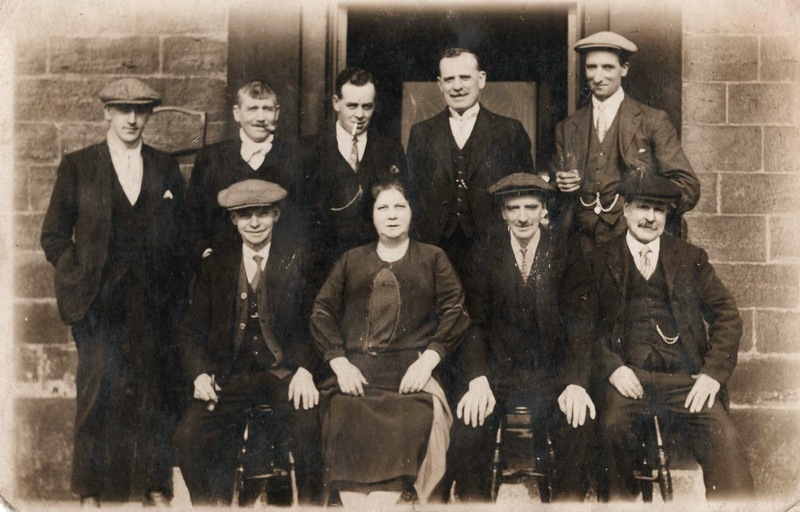 I believe that the picture below shows a group of people sitting at the front of the 'Rising Sun Inn', which was located on Hunshelf Bank, Stocksbridge, Yorkshire. The date is unknown but the time period would be about 1909-1919. I also believe that the lady in the picture was Mrs Elizabeth Newton (nee Bower) (1875). She was the 2nd wife of Harry Newton (1869-1909). Elizabeth was the publican of the 'Rising Sun Inn' from about 1909 to 1919. Do you know any of the other people in the picture? Please e-mail me if know anything about this picture.